The 0.75 ltr wine decanter is hand blown and hand cut and polished from 24% lead crystal. It has a stylish pyramid shape with a solid base and is finished with a tall facetted stopper. 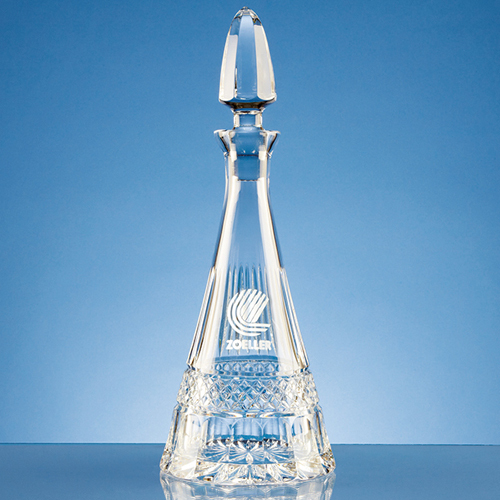 Beginning at the base of the decanter is a variation of patterns including an intricate diamond cut. The decanter can be personalised in the engraving panel with any crest, logo or wording to create a gift that will be treasured.